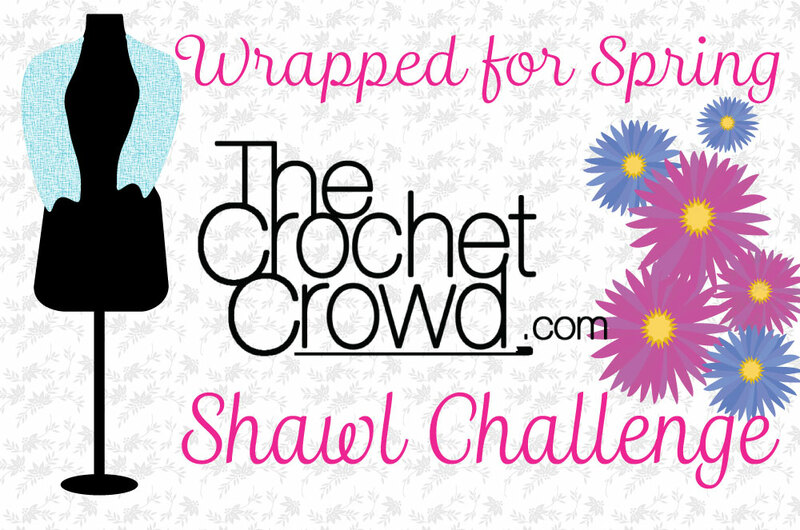 The next crochet challenge begins March 15th, 2015 as we complete a shawl together. This shawl will definitely challenge you. 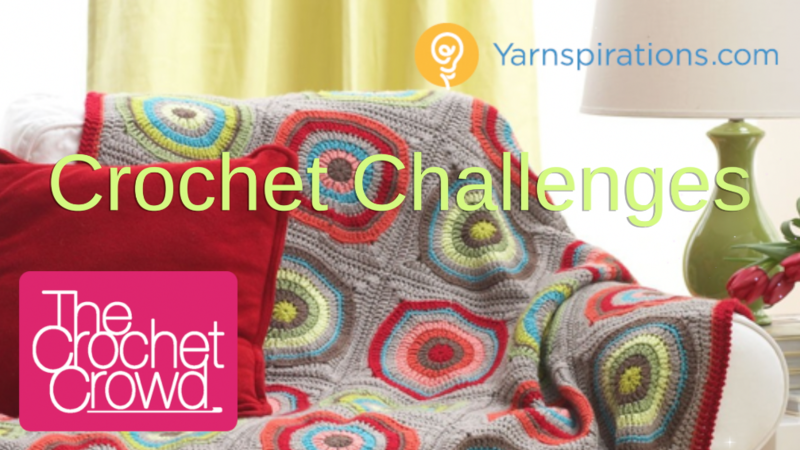 You will be given a written pattern, pattern diagram and video tutorial to follow to complete this challenge. Like any of our challenges, anyone can participate. Stay tuned for March 15th, 2015 as we launch this challenge. Pattern, guidelines and more will be released at that time. I loved creating the Yes, Yes Shawl. I’ve made two, and as suggested, I made both larger. I’ve gotten many compliments for them. March 15, 2015 has passed, today is April 13, 2015. Where is the pattern and the video for this CAL? This was actually just a challenge by itself, not a CAL. 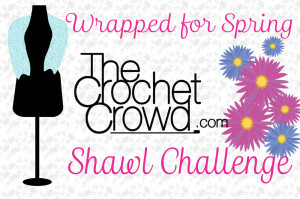 The patter and tutorial can be found both on RedHeart.com and on The Crochet Crowd Challenges page. While I was making mine, I lost track of the pattern and just googled Yes,Yes Shawl pattern, and found it right away. 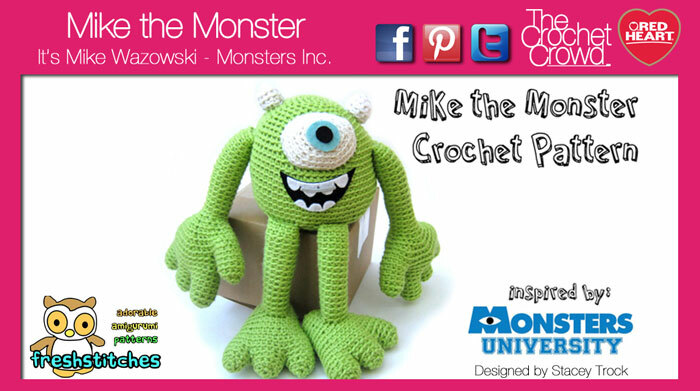 The pattern and tutorial are after the description, links to either. Please remember, for it to turn out as lovely as Mikey’s, keep going! Make it bigger! I ran out of yarn, at a point between Mikey’s and the original photo, and I wear it all the time. It truly is a lovely pattern. I have been enjoying the crochet challenge!!! When is the next one…..
Hmmmm, looks like my comments were deleted. I questioned the yarn requirements of 1044 yds cause on the pattern, it states 2 skeins of Bernat Cottonish which comes to 564 yds. 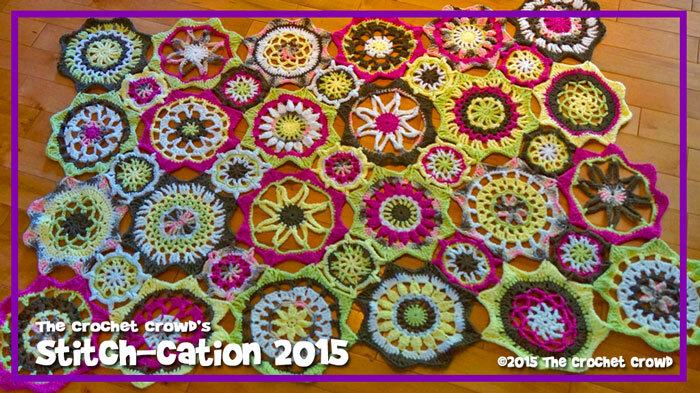 I have noticed also that I still have lot of yarn left for the Mystery Afghan and all I have to finish is the border. Must be a BIG border. I had trouble with the comments too. Nothing for over a week, and then, BAM! 92 in one shot! As every one else, I can not get pattern to this shawl, HELP!!!!! I googled ‘Yes yes Shawl’ and found it on Yarnspirations. Then later discovered that you have to tap the link, not where it says PDF.